Free Willy is a 1993 family movie from Warner Bros. 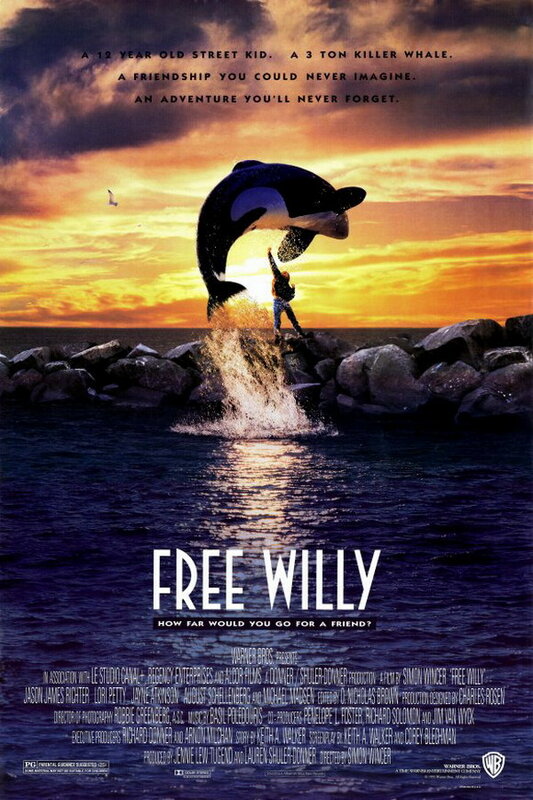 The movie tells the story of a troublesome teen boy and a captive orca, namely “Willy”. The font used for the movie title on the poster is Newport Classic SG Regular. Designed by Willard T. Sniffin in 1932, Newport is an art deco style typeface with very short descenders. The typeface is a commercial one and you can view more details about it here. The Newport font identified above is not available for free, please follow the link above and purchase the font. Meanwhile, you can take a look at our collection of fonts for cars, pop music and apparel as well as round-ups of new & fresh fonts around the web. In addition to Free Willy, It seems we can’t find other examples (logos, movie posters, album covers etc.) of Newport typeface in use.